When you have as many women lining up to ride the Space Mountain as Flair did, keeping it in your pants can be a challenge. 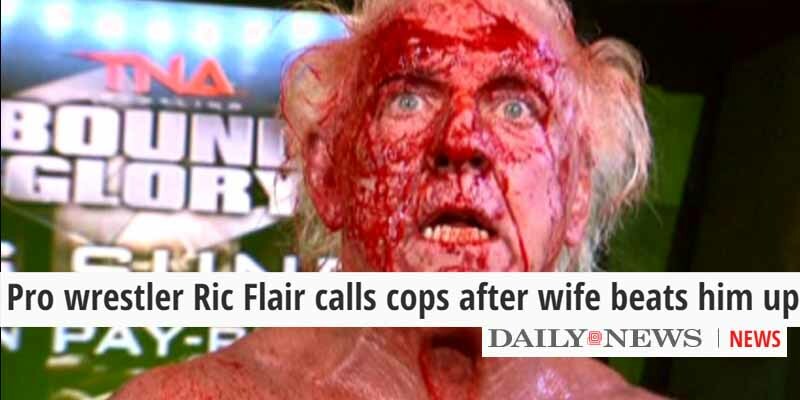 That’s why at least three of Flair’s wives ended up physically assaulting him. His second wife, Elizabeth Harrell, allegedly had assaulted Flair trying to provoke him into a physical altercation. Flair filed a criminal complaint on Tiffany Vandemark, his third wife, because she decked him with a phone charger. Lastly, in 2010, Jacqueline Beams punched him in the face repeatedly. With rumors about Flair not being able to keep it in his pants, either Flair is a glutton for punishment or he should learn that he should convert to being a confirmed bachelor.